Garboldisham 1st XI travelled out towards Kings Lynn to face North Runcton CC. Runcton batted first and Garby found their openers impossible to dislodge, and 38 overs in, the home side were on 157-0. With rain falling, an early tea was taken and the game was reduced to 45 overs with Runcton finishing on 210-2. Garboldisham made a good start and were on 76-1 before another downpour forced them back into the pavilion, and with no let-up in the weather, the match was abandoned with both sides picking up just a small handful of points. Back in Garboldisham, the 2nds were at home to Bircham CC who batted first. 30 or so overs in, the Bircham batsman edged a ball which flew through to Garby captain James Worby who was fielding in the slips. The ball hit the tip of Worby’s left index finger and the captain was forced to retire with a suspected broken finger. The visitors ended on 196-7 off their 45 overs. The Garby wickets were shared around with the best bowling figures coming from Karl Gooderham (2-18) and youngster Toby Culling (2-21). Rain had interrupted play towards the end of the visitor’s innings and now, with bat in hand, Garby had a wet outfield to contend with as well as being a batsman down. Opener Jon Olpin was looking comfortable on 22 until he was stumped. The middle order of Toby Culling and Charlie Wright started to build a solid partnership but some great stroke playing was only rewarded with ones or twos, rather than boundaries, as the ball either plugged or spluttered to a halt short of the boundary on the damp and spongy outfield. 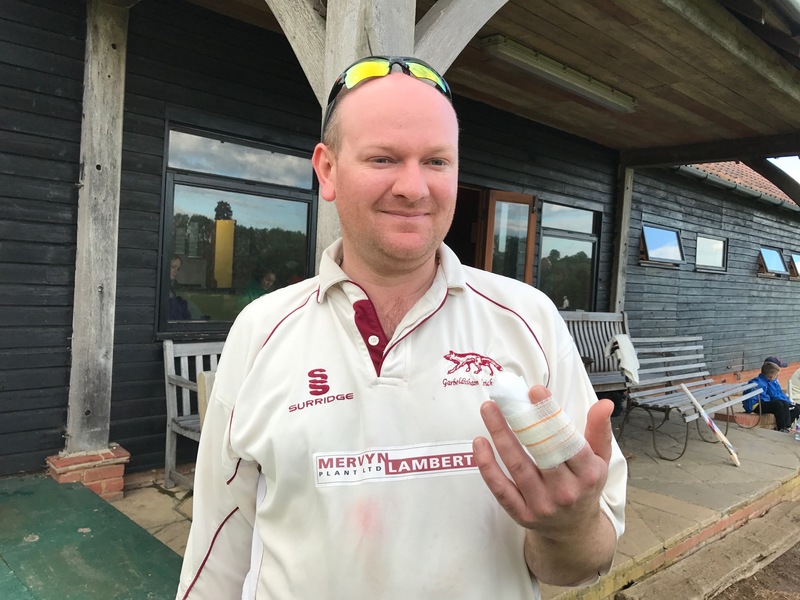 Once Charlie Wright was out, the incoming Garby batsmen were unable to give Toby the support he needed, and with only 10 men, the Garboldisham innings collapsed on itself from 100-5 to 118 all out. James Worby will unfortunately be out of action for 4-6 weeks. Up the road at Great Ellingham the 3rds had a much better afternoon. Ellingham put Garboldisham in to bat and Garby were 179-7 off 45 overs. In reply, Great Ellingham found themselves bowled out for 138 in the 39th over. A good win for the 3rds with 57 runs from Mark Snowling and more runs added to the pot from Eddy Thorne and from Rowan and Andy Freake. 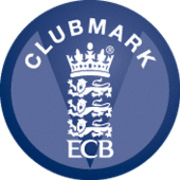 Wickets were spread between Rowan, Jack Halliwell, Peter Barnes and Eddy. At the Langley on the new ground, the 4ths faced Swanton Morley and batting first, Garboldisham scored 186 with Neville Kemp not out on 76. With the new ground’s short boundaries, the Garby total looked just a little below par – and so it was to be, as the visitors chased down the Garb total in their 37th over for the loss of just two wickets.